At this year’s CEDIA expo, electronics giants Sony and Mitsubishi have each rolled out 3D-capable home theater projectors based on Sony’s X-tal Reflective Display (SXRD) technology, enabling the units to handle full HD 3D content—and throw it onto potentially huge screens for an even more immersive experience. Of course, film fans who are in the market for this sort of equipment have already immersed themselves in custom home theater installations—so adding a new projector shouldn’t present too much of a burden. First up, Sony’s VPL-VW90ES features a 240 Hz refresh date to minimize screen cross-talk and present sharp and clear 2D and 3D content. 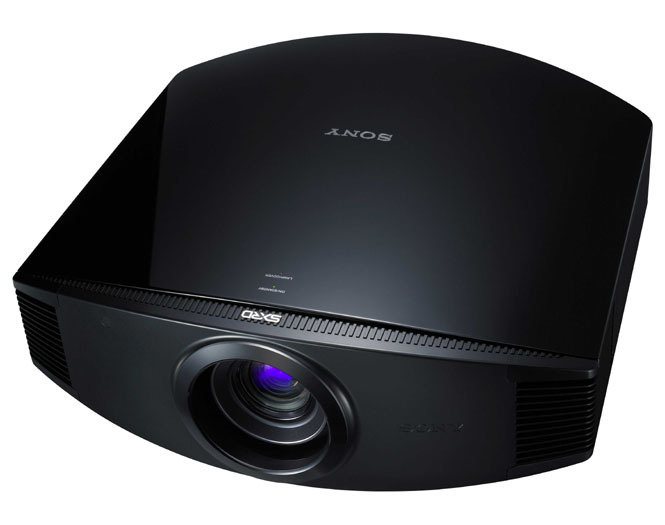 The projector uses a single lamp that offers 1,000 ANSI lumens of brightness along with deep blacks: Sony says the unit’s dynamic contrast ratio is 150,000:1. The VPL-VW90ES doesn’t require a special screen—making it an easier upgrade for folks with existing projector setups—will also work with leading home theater and home automation systems from the likes of Control4, Crestron, Savant, RTI, AMX, and others. Of course, 3D content requires 3D shutter glasses, and two pairs come with the unit (they also work with 3D-capable Bravia HDTVs). Sony says the VPL-VW90ES will be available in November for about $10,000 through Sony installers and specialized dealers. Not to be outdone, Mitsubishi is also introducing its own 3D projector based on Sony’s SXRD technology—and Mitsubishi actually has some bragging rights since it’s been shipping 3D-capable projectors since 2007. Mitsubishi’s Diamond 3D 1080p projector sports a 120 Hz refresh rate, an auto-iris function that adapts to each scene, a 120,000:1 dynamic contrast ratio, and can throw images onto screens measuring up to 100 inches. The projector has a very wide powered lens shift range (up to 100 percent vertical and 45 percent horizontal) and 1.8× zoom for flexible installation options, and users can individually manage red, green, yellow, magenta, and cyan levels and hues. Mitsubishi also claims the a 4,000-hour lamp life in low conservation mode—long enough to watch Avatar so many times even the most ardent fan will be sick of it. The unit sports two HDMI 1.4 inputs along with an RS232 port for third party control systems. Mitsubishi hasn’t announced any pricing or availability information.